February 14th- Ash Wednesday -supper at 6:00 service at 7:00pm. 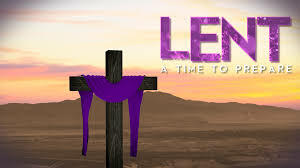 Lenten Bible Study on Wednesdays at 7:00 pm beginning on February 21st until March 21st. Will be reading and reflecting on the book “The Shack” by William Paul Young. Lenten Small Groups Sundays at 11:15. Beginning February 18th until March 18th.